Like to have a one-to-one with Louis XIV, Mozart or Jean Reno? Are you a Ronaldo fan? Have you fallen for Ryan Gosling or are you fascinated by curvaceous Marilyn Monroe? Meet all these celebrities on a tour full of surprises in outstanding themed settings! Musée Grévin, a unique and unmissable venue in Paris, invites you to strike a pose next to over 200 figures past and present who have left their mark on history! 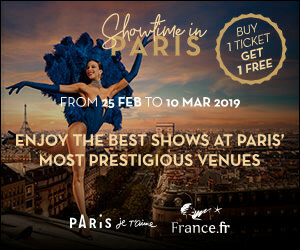 Enjoy this fantastic experience with family or friends and get up close to major personalities in French history, sports legends, political figures and film stars! - Final admission 1 hour before closing time. - Strollers and bulky luggage are required to be deposited in the (free) cloakroom for security reasons. - Children can visit alone from 16 years old. Under 16 years old, the presence of an adult is necessary. - Any closures (strikes, public holidays, etc.) and exceptional free admission will not lead to the refund, nor the extension of the duration of tickets.